How have you been? How is your summer going so far? We are officially half way through but I do not like to think about that too much. I always find that the summer goes by too quickly, so this year I have made a concerted effort to try to relish in the moment a bit longer. That can be tough, especially if you are very busy trying to organize your life and get things accomplished. Speaking of getting things done - I really wrote this post to chat a bit about a new design I made. 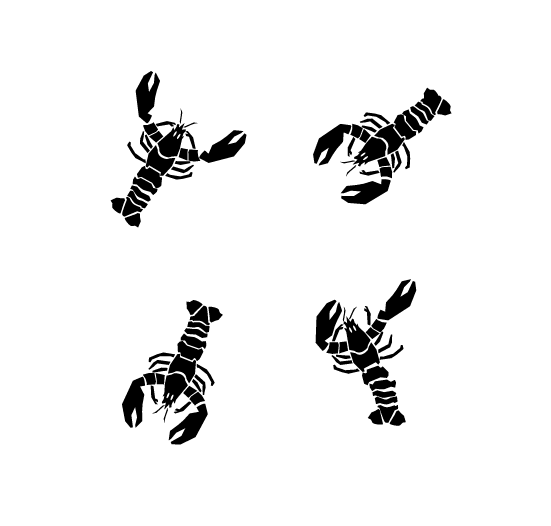 This being my lobster design. I started this design as a result of working on a children's game app with a friend of mine who is in the tech business. He wanted me to illustrate an "under the sea" scene, and one of the ideas I came up with was to create a lobster. I wanted to keep the look of it very simple. The animation requires that the sea creatures that i create have moving parts as a child taps on them and the start moving up and down. Of course, this opened up a can of worms for me! I started animating the little guy in different positions (even doing a dab!). And this cultivated into designing a uniform pattern that had plenty of movement and fun. This also translated into me creating a screen print - I just couldn't pass up the opportunity. But I also got a little push form a few other people in my industry - so thank you to those because a little encouragement really helps! I am happy with the overall look and the uniformity of it all. And using red ink is a relatively new experience for me, but it makes sense in a lobster print. I typically start any design I make as a tea towel - and I think this design lends well to not only the shape of a tea towel, but the idea of cooking and being in the kitchen. So many people that purchase my tea towels are foodies. So this is for you guys! I also will be letting you all know when this children's game app is complete. It's been a fun experience for me - and without actually doing it I would never have created this fun Lobster design! 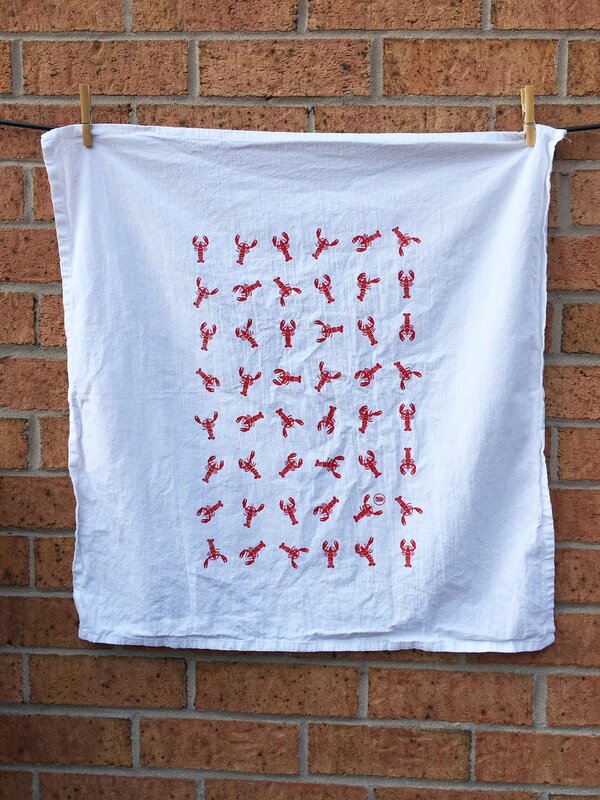 You can find my new tea towel here!